Barba is an Italian classic menswear brand, which was established in 1988 by Raffaele Barba. It specialises in handmade shirts, but also produces a lot of other garments (ties, trousers, scarves, etc). The brand has its own factory in Naples. DandyLife, Culto = informal shirts, slim fit, non-fused collars, 3-4 hand passages. 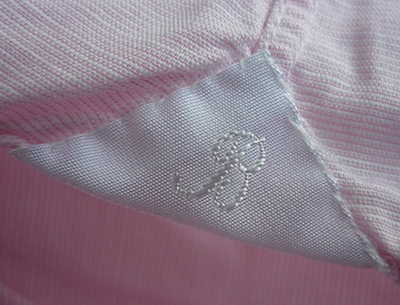 Barba shirts are made of high quality cotton, linen and cotton+linen fabrics. Tech specs: single-needle stitching (6-7 stitches per 1 cm. ), fused or non-fused collars (depends on line), removable collar stays, hand-sewn gussets, non-split yoke, hand-stitching (but not the best one), thick mother-of-pearl buttons (4 mm., but sometimes 2 mm.) – flawless and shanked. Sleeves are sewn on at the end of the sewing process. The top button is smaller than other buttons. The range of colours and patterns is wide. 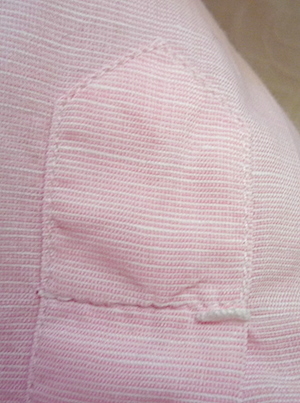 There are a lot of solid shirts (various shades of blue, white, pink, etc). Patterns: stripes, checks, fancy. Shirt sizes: 37 — 47 (i.e. 14,5 — 18,5). Fits: regular and slim. Collars: cutaway, spread, semi-spread, wing tip. 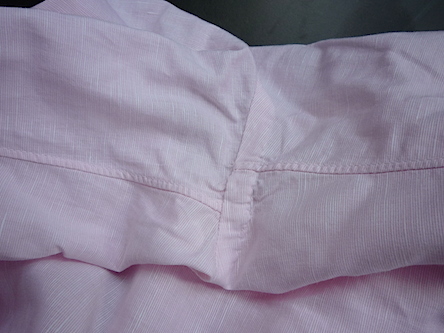 Cuffs: usually 1 Button; rounded or angled; 4 small pleats at the cuffs. All Barba shirts are made in Italy from start to finish. You can purchase Barba shirts at Shop.BarbaNapoli.com, FarFetch.com. ShopTheFinest.com, TimeForModa.nl, La Rinascente (Milano), Barba monobrand stores (Milano, Roma), Yoox.com. Regular prices start at 169 EUR (including VAT); outlet prices start at 89 USD. This entry was posted in Italy, Ready-to-wear, Shirts by Dmitry_Vasfilov. Bookmark the permalink.